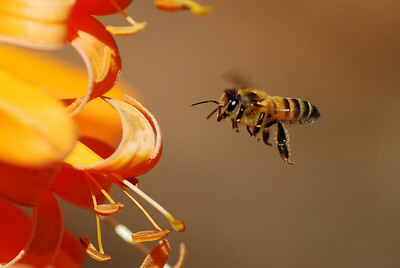 with their own special beauty. 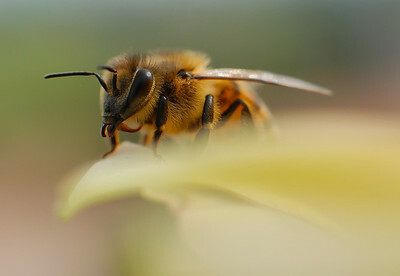 And it helps that they don't seem to mind having their picture made. 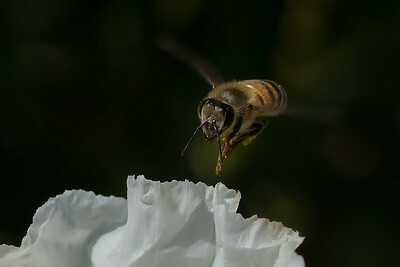 "Coming at You" Honey bee heading for a sage leaf rock rose. 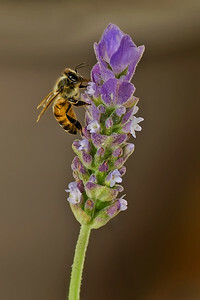 Honey bee using her proboscis to extract nectar from a lavender plant. 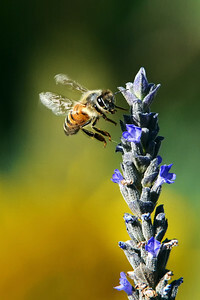 Honey bee coming in for a landing on a lavender plant at Summers Past Farms in Flinn Springs, California. 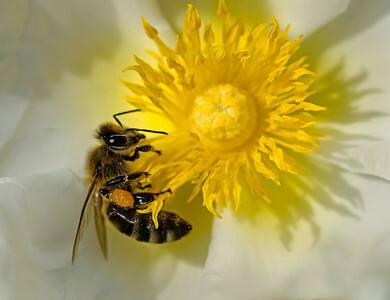 The yellow in the lower background is a sunflower. 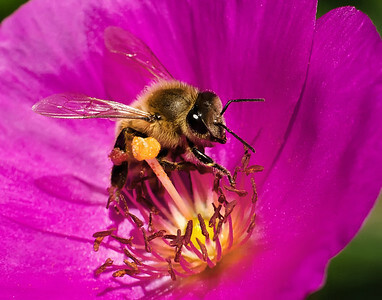 Honey bee on a calandria blossom at Summers Past Farms in Flinn Springs, California. 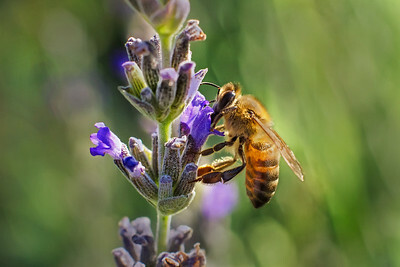 Honey bee extracting nectar from a lavender blossom. 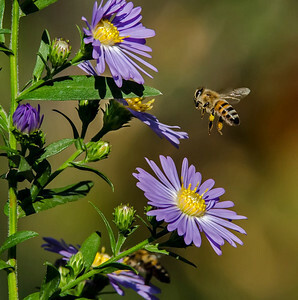 Honey bee homing in on flowering aster on a fine, warm afternoon in El Cajon, California. 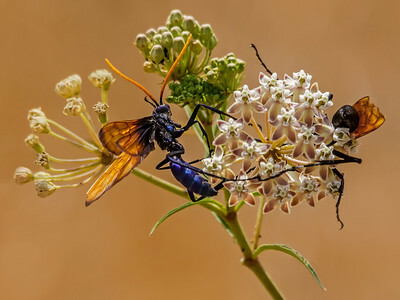 Two Tarantula Hawk Wasps on a wild flower in Mission Trails Park in San Diego, California. 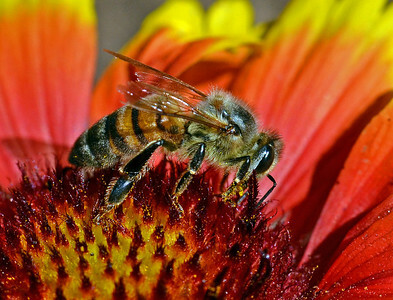 The soft brown background is dry grass. 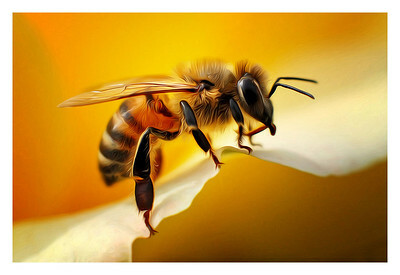 Honey bee on sage leaf rock rose with an impressive yellow pollen sack on its hind leg. 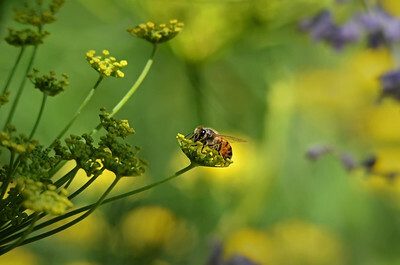 Honey bee on flowering fennel. 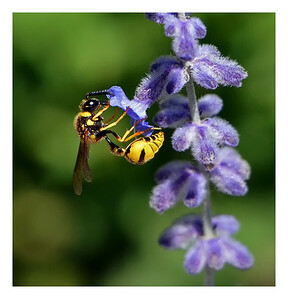 Sandhill Hornet peacefully gathering nectar from a Russian sage blossom.